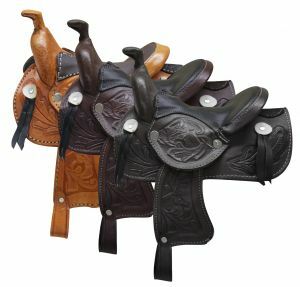 6.5" tall x 4.75" wide. 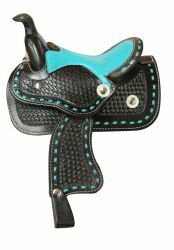 Basket tooled decorative saddle with teal seat. 11" tall x 8.5" wide. 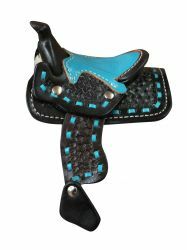 Basket tooled decorative saddle with teal seat. 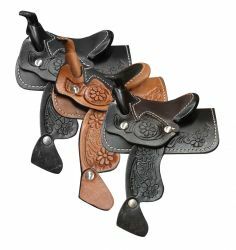 Floral tooled leather Mini decorative saddle. 6.5" tall x 4.75" wide.